Last night on NBC News, I waited to hear about the Senate’s overwhelming passage of the Every Student Succeeds Act. Perhaps I missed it, or they are waiting to say something about it now that President Obama has signed the bill into law. Instead, one of the news items Lester Holt told us about involved the new gadget called Hoverboards. Hoverboards look fun. If you are good at surfing or skateboarding it might be for you. If you are a klutz like me you should probably stay away. The problem is many Hoverboards catch on fire. Crackle, crackle…up in smoke! And so goes the Every Student Succeeds Act. Figuratively speaking, like the Hoverboard exploding in flames, this new bill looks destined to end public schools. It will finish what NCLB started. Even the name, Every Student Succeeds Act, sounds eerily familiar to No Child Left Behind. And when you read what the new bill entails it is deceptive. It looks good to some people—like both union leaders Lily and Randi. They seem to consider it a gift to finally get rid of NCLB. Do they really believe states won’t still pressure local districts to use value-added measurement to evaluate teachers? Sen. Lamar Alexander is calling it a “Christmas present” too. 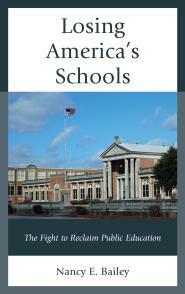 But Sen. Alexander has always been for school choice and is not seen as someone who champions public schools. The blog Public Schools Central posted about this and included a link to a video of Sen. Alexander at an American Enterprise Institute meeting last year. There is much ado that ESSA is bipartisan, which sounds strange. Aside from vouchers, when it comes to education, when have the two parties differed on education policy? Sen. Ted Kennedy stood next to President George W. Bush for the signing of NCLB. There was much mutual agreement between parties for that bill too. While many believe the beauty of this bill is the removal of the Education Secretary and the federal government from education issues (Arne Duncan is given credit for bringing this bill to fruition), few can claim they have state governors who will do right by public schools. This is not a “Ding Dong the Witch is Dead” situation. For example, even if a local school district rejects a charter school, the state will often step in and insist that the charter be approved. Charter schools win big with this bill. And if you like the sound of the local talk in this bill, I can name some local school districts run now by those who aren’t educators. Both the Eli Broad Foundation and the Bill and Melinda Gates Foundation also set up shop in many local school districts to further a privatization agenda. The fact is, most state leaders and politicians bought into the corporatization of America’s public schools a long time ago, and it has trickled into the local school districts like tainted drizzled honey. 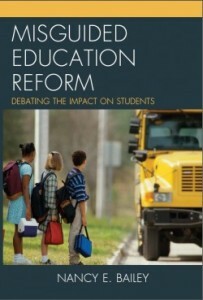 This bill does nothing more than pass the baton of harsh school reform to the states and the locals. The music doesn’t change. And don’t forget, it was the governors who signed onto Common Core State Standards! Don’t be misled with claims Common Core may go away. If it seems to disappear it will be by name only. Perhaps this is why, thus far, no anti-Common Core group has come out cheering for the passage of this bill. It is discouraging too, that many believe this bill received blanket approval without even being read by the politicians who approved it! Which goes to show you it is a bill that was most likely already a done deal. Of course, a lot of what we see in ESSA is already happening. This law now validates it—making it harder for parents and educators to fight against harsh reform. There is no proof the ESSA will make schooling better in America. On the contrary, it’s reckless. Just like it is dangerous to step on a Hoverboard knowing it will catch fire. At least with the Hoverboards, most people now recognize the danger. Homeschooling is fine for parents who want to do it, Amy, but many parents cannot do it. And really we need a good public school system that opens its doors to all. But thanks for the helpful link for those interested parents. Could not continue. This is the end of Public Ed. In Amerika – the most important element in creating an informed /free society. Thanks for sharing, Jill. I am always sorry to hear of good teachers leaving the classroom. And early childhood education needs good teachers. The bill is discouraging. I hope we can rise above it. Randi Weingarten has no problem with VAM being used to evaluate teachers. On February 5, 2015 she was praised by a panel at the American Enterprise Institute for her collaboration with Gates and Broad in her promoting of the use of standardized tests for teacher evaluation. Also, Randi Weingarten was interviewed before an audience at AEI a few months after Lamar Alexander’s appearance.